This beginner package is intended to familiarize clients with the set-up and safe use of the Reformer. The STOTT PILATES® principles will be incorporated into an energetic workout using the Reformer. This package includes 1 private session on the Reformer and a 12 week group reformer session. The STOTT PILATES® principles will be incorporated into an energetic workout using the Reformer. 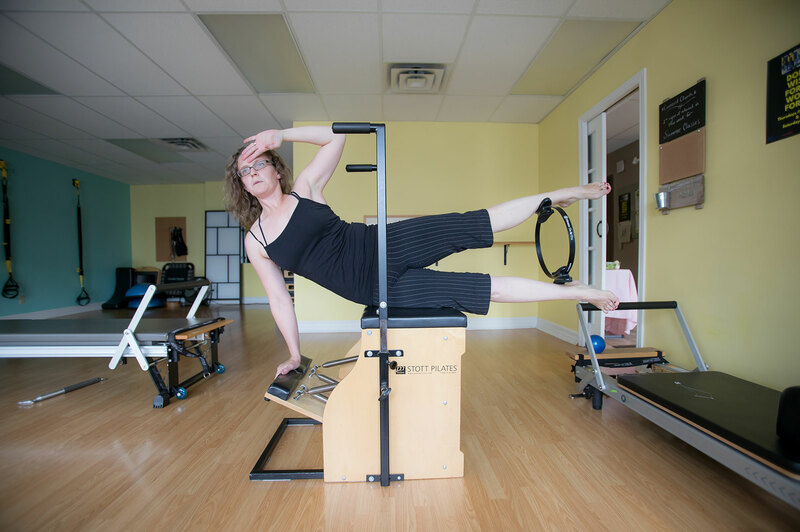 This Reformer class seeks to build comfort on the Reformer while targeting abdominals, glutes, arms and legs. This class is perfect for those who have just started Pilates and for those want to support their active lifestyle. Sculpt a strong, flexible and balanced body with this challenging Reformer class that builds core strength, tones arms and strengthens legs! This class is a total body workout that continues to build on endurance and core strength, while improving stamina. It is suitable for those with a strong foundation in Essential-Intermediate classes but are ready to take their workout to the next level. This is a fast-paced cardio and strength training circuit class, incorporating both small and large Pilates equipment into your workout for even greater sculpting and toning. Be prepared to be motivated and challenged as you complete your circuits! Barre classes blend Pilates with dance, cardio & strength training to create an energizing, yet challenging class for your whole body. The ballet barre workout offers fun exercises that challenge the body’s strength, endurance and increases overall fitness! Barre Fusion is and intense cardio workout done at the ballet barre formatted to be a heart pumping good time that will help you take your fitness to the next level. This workout is designed to increase your cardiovascular strength while helping you to tone, sculpt, and lengthen your muscles from head to toe. Learn the TRX Foundational Movements as you build core strength and stability, total body strength, flexibility and balance in this 12 week low impact training session.